With RFN, we can now connect plants, refiners and customers in real-time. This cloud-based service integrates renewable fuels directly into the highly efficient traditional fuels supply chain in North America. Mansfield Oil Company has once again been named by influential CIO magazine to its annual CIO 100 list. The 24th annual CIO 100 awards honored 100 companies that are using information technology in innovative ways to add value to their organizations. 2011 marked the second year in a row that Mansfield was named to this prestigious list. 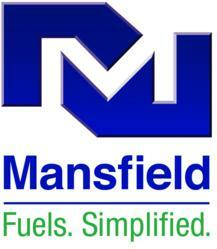 The 2011 awards recognized Mansfield’s creation of an automated supply chain for renewable fuels in the U.S. The Renewable Fuel Network (RFN) provides efficiency and scalability to the supply, distribution and delivery of renewable fuels. RFN offers a fully-automated solution for time sensitive EPA reporting of Renewable Identification Numbers (RINS) through the EPA Moderated Transaction System (EMTS) as well as comprehensive RINS management and trading efficiencies not typical in the renewables market today. Since the deployment of RFN, Mansfield has reduced labor costs while reducing the time to complete their RINS filing and compliance reporting by nearly 90%. Mansfield has created a level of transaction transparency and efficiency in a marketplace that has relied traditionally on a manual, paper-laden supply chain. As demand for renewable fuels continues to grow, Mansfield’s Renewable Fuel Network provides all segments of this complex infrastructure with a turnkey solution for sales, marketing, contracting, logistics planning, transportation scheduling, accounting and regulatory reporting, all while reducing costs for plants and customers. Ranked as one of the Top 100 privately held companies in America by Forbes and a multiple finalist in the 2009 and 2010 Platts Global Energy Awards, Mansfield Oil defines the next generation of downstream oil company, delivering a disciplined approach to fuel services nationwide from over 900 supply terminals. Founded in 1957, the company has achieved double-digit growth for three decades. Mansfield Oil focuses on optimizing and controlling fuel-related costs for their customers with local service, nationwide. For more information, visit http://www.mansfieldoil.com.